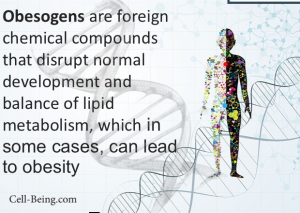 Obesogens – chemicals that are making us fat unknowingly – and our unborn children fat. Bruce is a science journalist who has produced, directed, hosted and written hundreds of hours of television. His most recent award is a Gold Medal from the New York Festivals for “The Downside of High”, named best health & medicine documentary. His programs have aired on CBC, Discovery, Knowledge, TVOntario, Access, and SCN. His documentary Deciphering Dyslexia won a 2008 Freddie Award (the Oscars of health & medical media), and the Helen Hayes Award for best consumer program at the 2008 Freddies. Hiding from the Wind, about the world’s fastest bike, won a Leo Award for Best Science and Technology Documentary in 2003, and his documentaries have been screened at the New York Film Festival and the Image and Science Film Festival in Paris. He won the 2003 Science Council of British Columbia’s Eve Savory Award for Science Communication and the 2004 Canadian Federation of Biological Sciences’ Gordin Kaplan Award for Science Communication. Today we will be discussing Bruce’s latest documentary on David Suzuki’s the “Nature of Things” – “Programmed to be Fat”. Understand the term “obesogens”. A new scientific theory points the finger at chemicals in our environment that are setting humans up for obesity before they’re even born. Exposure to environmental chemicals such as Bisphenol A, pesticides and herbicides during fetal development may be changing our physiology forever. That, say some scientists, could explain the alarming statistics on obesity – like the fact that the number of overweight infants rose 74% in just twenty years. And not to be overlooked at all – we will be discussing the award winning “The Downside of High” – helping people understand the serious health impact of using marijuana.